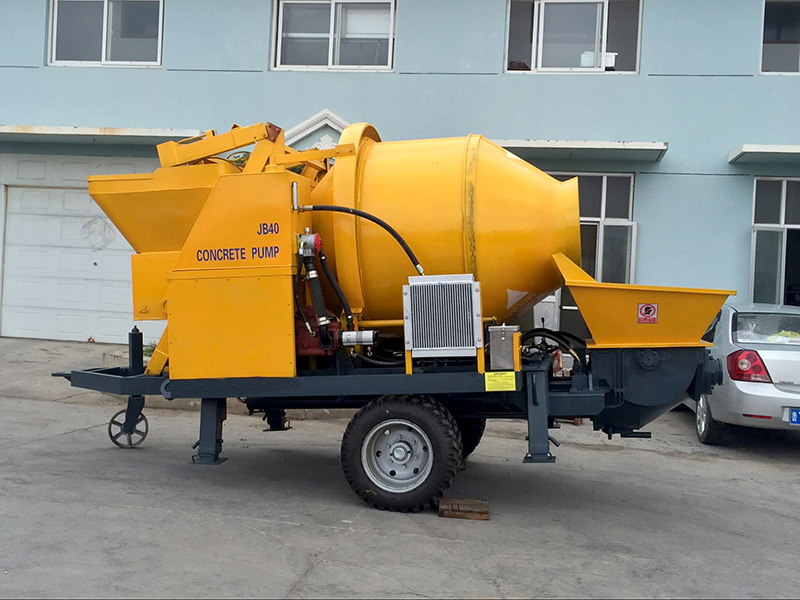 Mobile concrete mixer with pump is a multiple functional machine, which can continuously mix and transport concrete mixture by pressure alongside the pipeline. It is known for its convenient movement. Mobile concrete pumps are most suitable for houses and commercial buildings under thirty floors, roads, water conservancy, etc. 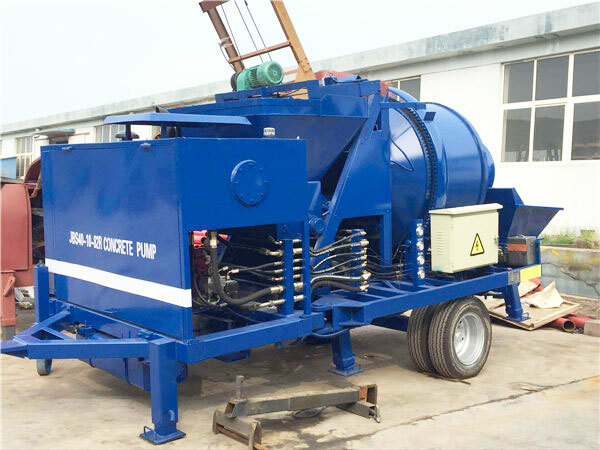 In addition, if the project has several construction sites, it is necessary to equip with a mobile concrete mixer with pump. 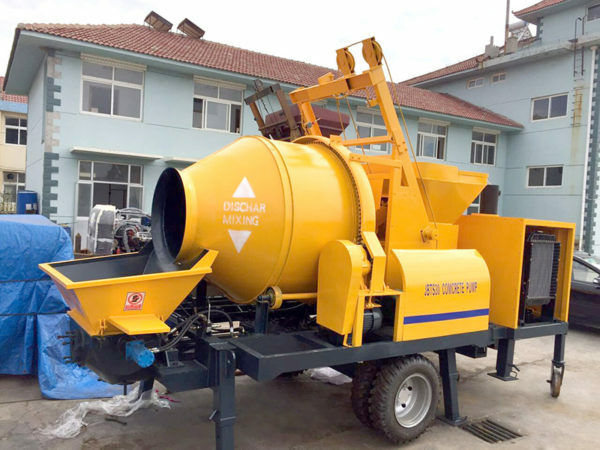 Except from that, our small concrete mixer with pump can also be used in narrow places, such as tunnels and bridges, because it’s hard to install one mixer and one pump in those places. 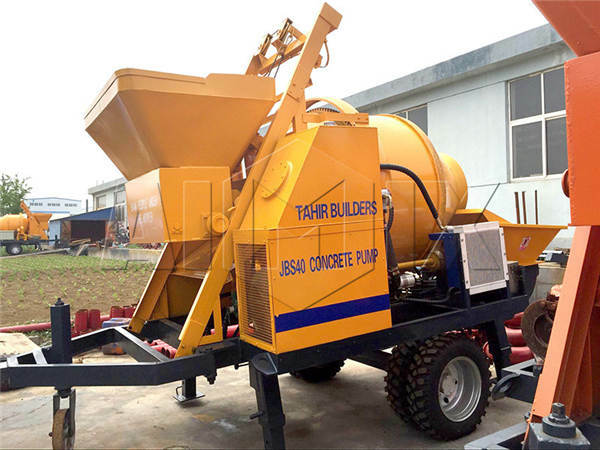 Compared with concrete mixer and mobile concrete pump, mobile concrete mixer with pump is more advanced. On the one hand, it has more functions, integrating mixing and conveying. On the other hand, it has more wide applications. Thus, it is more popular. When it works, concrete get into the mixing system first, then go through the pumping system, later they are sent to the destination with the help of delivery pipes. Having focused on concrete pump for several years, we have accumulated a lot of experience. Our products have a good reputation in the market on account of high-quality equipment and well after-service. They have been exported to Somalia, Russia, New Zealand, Philippines, Guinea, Romania, Pakistan, Ukraine, Boatswain, Uzbekistan, Kyrgyzstan, Oman, etc. They have good business relationship with us. Before they purchasing, some customers came to visit our Aimix office and factory. Our professional production team and sales team show that our Aimix Group is a reliable and professional pump machine manufacture and supplier. 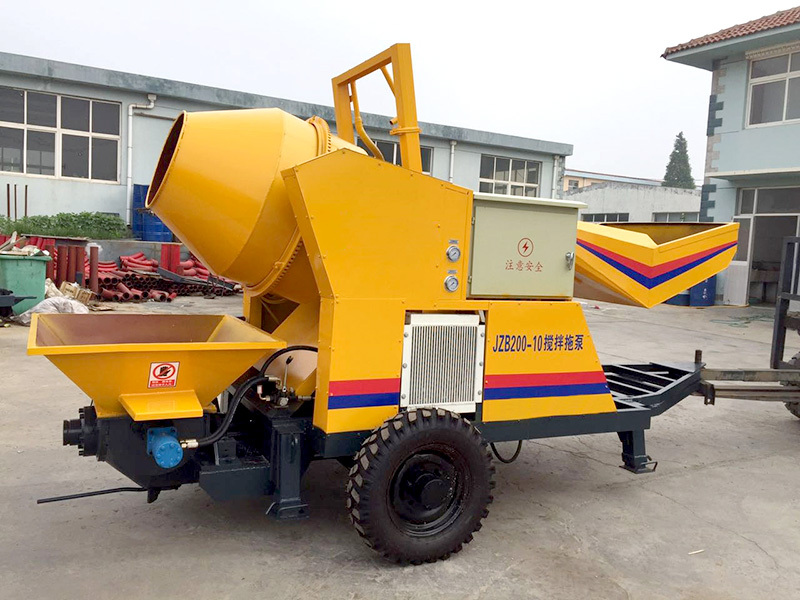 Therefore, if you want to invest a mobile concrete mixer pump, and if you want to find a reliable manufacturer to get a affordable price, welcome to contact us now. Leave a message to us and we will reply you as soon as possible. First, it’s usually known that mobile concrete pump mixer is easy to move to different construction sites. 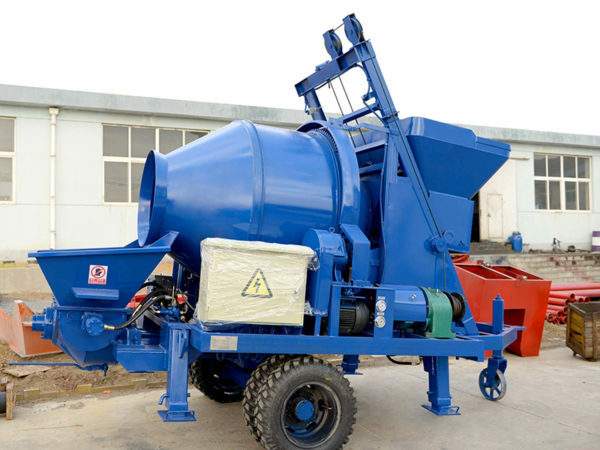 And it is universally acknowledged that concrete mixer with pump is the combination of mixer and pump, thus it usually has a larger total weight. In order to make it move easier, our company try to use high-quality intentional wear-resistant components to reduce its weight. What’s more, when it’s time to change the construction site, you can move it conveniently under the influence of a motor tractor. 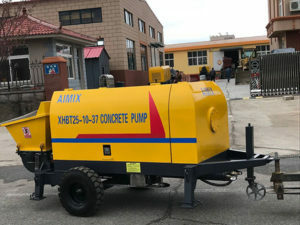 Compared with stationary concrete pump, mobile concrete pumps for sale can largely save time. 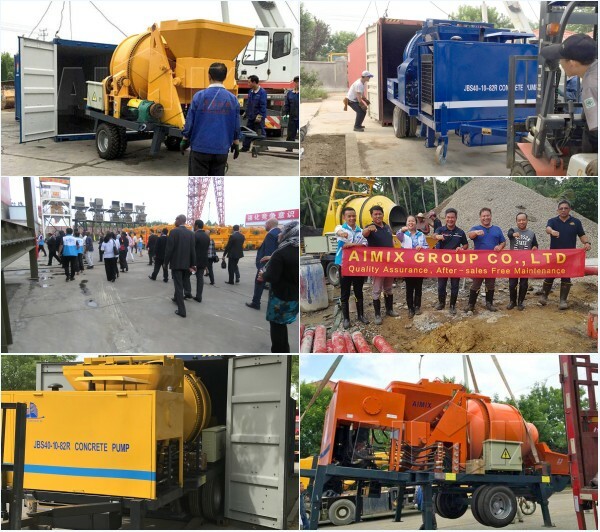 In addition, as the excellent mobile concrete mixer with a pump supplier, we have gone through technological innovation and made each system more effective, such as hydraulic system, electric control system, mechanical system, lubrication system and cooling system. For example, we adopt double open hydraulic loops with two pumps, high-low pressure switch, wire remote equipment, etc. Last but not least, we can offer you a reasonable mobile concrete pump for sale price. Price is the key factor that our clients will decide whether to buy it. Many clients choose us because of its reasonable price and perfect performance. Up to now, our mobile pumps have been exported to more than 80 countries, such as Australia, the United Kingdom, Uzbekistan, Pakistan,Philippines, Russia, Vietnam, Indonesia etc. After pumping the concrete, immediately clean the pipeline and the pump machine, then carry out inspection, maintenance and other finishing work. You should correctly and timely clean and maintain the machine, which can not only ensure the normal operation of the mobile concrete pumping pump next time, but also effectively increase the service life of the machine. The steps of cleaning pipeline are as follows. 1. 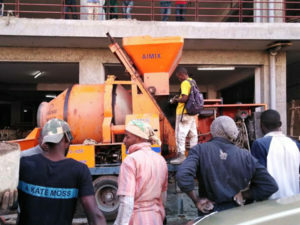 Before stopping pumping, pump the fine stone concrete in the hopper as much as possible. 2. Reverse pump several times, and release the pressure of pipe, then cut off the power system. Open the first section of the telescoping pipe and discharge door, and thoroughly remove the remaining concrete from the hopper, the distribution valve box and the telescoping pipe. 3. Then take out some of the concrete from the first straight pipe, and plug it into a waterlogged sponge ball, and fill with waterlogged cement bag paper before the sponge ball. 4. Next, close the discharge door and connect the telescoping pipe. Directly inject water into the hopper and pump. The process is finished now.